It seemed the best way for a new band to garnish attention and publicity in the late sixties and early seventies was to book as many festival appearances as possible. 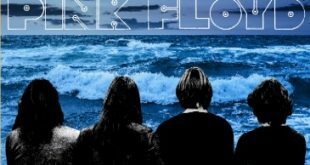 Pink Floyd in 1970 played many such events to critical acclaim and among those is their set at the Bath Festival on June 27th. The event drew much more people than expected with a final tally of an estimated 150,000. The band were scheduled to hit the stage at 10:30pm Sunday night but because the bass and choir for their new piece were stuck in traffic, and because of the delays of the other artists, didn’t actually play until 3am the next morning. And such was Pink Floyd’s schedule that they immediately left Bath afterwards for another festival in Holland the following day. Sunbathing In Somerset utilizes a good to very good audience recording taped relatively close to the stage. 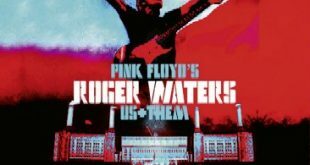 It is a bit thin and lacks significant dynamics and there is a short conversation by the taper after “A Saucerful Of Secrets” where he says they just played his favorite two songs. The label remastered the tape in an attempt to improve fidelity which leaves some residue in the upper frequencies. 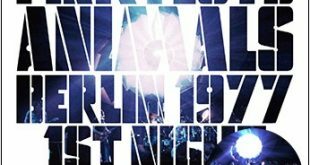 Given some of the poor recordings of the era and especially from this particular festival, this is a good and listenable document of the event. Given time constraints they play a set just over and hour beginning with “Green Is The Colour” and “Careful With That Axe, Eugene” which is essentially taken from their scrapped concept art piece The Man and the Journey from several months before (where they were called “The Beginning” and “Beset By Creatures Of The Deep.”) These were the opening tracks of the second part of the piece “The Journey” and by opening concerts with it Pink Floyd are emphasized the progressive nature of the music the audience are about to experience. 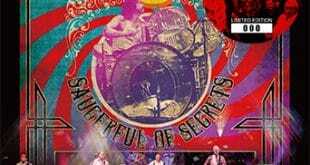 “A Saucerful Of Secrets” is eighteen minutes long but the dynamics of the piece don’t translate well onto the thin sounding tape. However the transition between Mason’s drumming in “Syncopated Pandemonium” and Wright’s quiet organ in “Celestial Voices” provides one of the most dramatic transitions in the set. There is a small cut in the tape after “Set The Controls For The Heart Of The Sun” which eliminates some of Waters comments, but it does capture him introducing the next song which will take up a whole side of the new album with the “tentative working title ‘The Amazing Pudding. '” Footage exists for what is the premier of the new song “Atom Heart Mother.” The band are joined on stage by the Philip Jones Brass Ensemble and the John Aldiss Choir conducted by John Aldiss and despite some rough spots play in tune in an otherwise effective performance. The performance was mentioned in a review published soon afterwards which state: “People were getting tired but the spectacular close to their set woke everyone up. After laying down some good sounds they were joined by a choir, about 12 strong, and a brass section and went into a 20 minute thing which will be one side of their new album. It was a heavenly sound. The finale saw three flares bursting open the sky with a galaxy of colours – smoke and the light show flooded the stage. It was amazing.” (Disc & Music Echo). 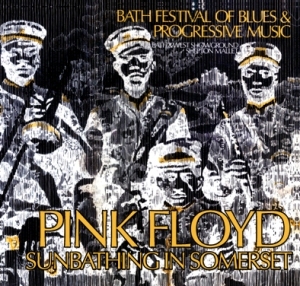 The Bath festival is among the better of Pink Floyd’s festival appearances. It is puzzling why labels in the past have ignored this tape. Godfather do a good job in the presentation as usual with tasteful use of the event’s program and a four page libretto with interesting liner notes written by several Pink Floyd experts. The sound quality on this exceeded my expectations. Happy to have this in my Floyd collection. ONCE AGAIN I MUST THANK GODFATHERECORDS THAT MADE AVAILABLE A GREAT HISTORICAL CONCERT AT A VERY REASONABLE PRICE, HAVE YOU EVER SEEN A GORGEOUS PACKAGING LIKE THIS ( MINI POSTER AND 4-PAGE BOOKLET)FOR A THIRD OF THE SUM WE NEED TO PICK UP A NORMAL PF JAPANESE TITLE? GO AHEAD GUYS!! WE APPRECIATE YOUR EFFORTS!!! As a collector of all things Floyd, I think Godfather have put out the best possible version of this monumental show! Have you listen to the source on Ayanami cd-r label? Well, I can say that after that I really appreciate the “heavy-handed equalization” on this title. Agreed AA… Heavy-handed equalization is never good. Please listen Godfather! We’re the core collectors that keep you going!!!! The only critial thing I can share with is the label should leave some high end and not equalized this title so heavily that caused of some metallic sound at places. Personally I think it’s much better to reduce the hiss using the treble on your home equipment than lost it in a process of reducing hiss. The packaging is fantastic for this release. The addition of the inserts with all the added info including some background of this performance and background of Floyd is just a plus. Listening to this on my equipment I find it quite enjoyable and feel Godfather did a great job trying to present the best release possible considering the source and inportance of this concert. I’m listening to it for the 2nd time now and just got it about 4 hours ago. 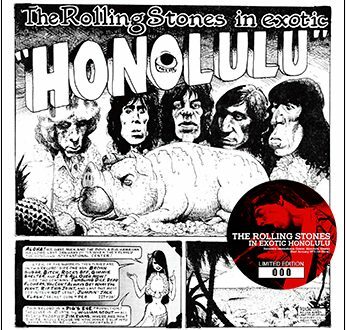 I like the packing and the music is very good only at the end it’s little bit worse.